Quality Printers Orange County | New & Reconditioned Printers | Garza Industries Welcome to Garza Industries! At Garza Industries, we understand the importance of having professional quality, reliable and durable printers in your business. 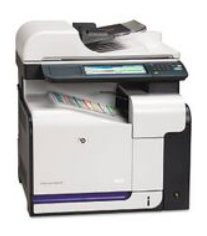 Printers are one of the most used systems and pieces of equipment in any Orange County company. Choosing the best option is now more complicated than ever, but we are here to help. It is essential to consider the type of printing you will be doing, and quality of resolution of your images. Of course, one of the most important factors in selecting any printer is the page per minute output. This is typically a factor of the type of printer which may include laser printing systems, inkjet or toner. We also offer dot matrix machines that can handle ongoing printing requirements for cut sheet and continuous forms. At Garza Industries, we can offer both new and reconditioned printers based on availability. The reconditioned options are fully inspected and all worn components replaced, providing full upgrades to OEM (Original Equipment Manufacturer) standards. These printers are a great option for any Orange County business on a budget. We offer free delivery on our models; just let us know and we can get it to you on the next business day. To find out more about any of our printer options, give us a call today at 800-716-4408. We can help you to get the right printing equipment for your company's needs.